We moved into our current home December 2012. Before that, we had lived in a parsonage that belonged to the church where Mr. U had been pastor. He moved in in 1995 and when we married in 1998, I moved in. Almost 14 years of memories made there for us. It was hard to leave!!! We bought this home toward the end of the housing crisis. TONS of foreclosures were on the market. Every single home we looked at (maybe 30) was a foreclosure and we ended up in bidding wars with homes selling waaaay outside of our price range! We found this home and ended up making offers two different times. We were surprised that we finally got it and it was in our budget range, too!! What a blessing!!!! When we looked at this home, we were awed!! WAAAY bigger than our previous home and it had a fresh coat of paint and new carpet!!! 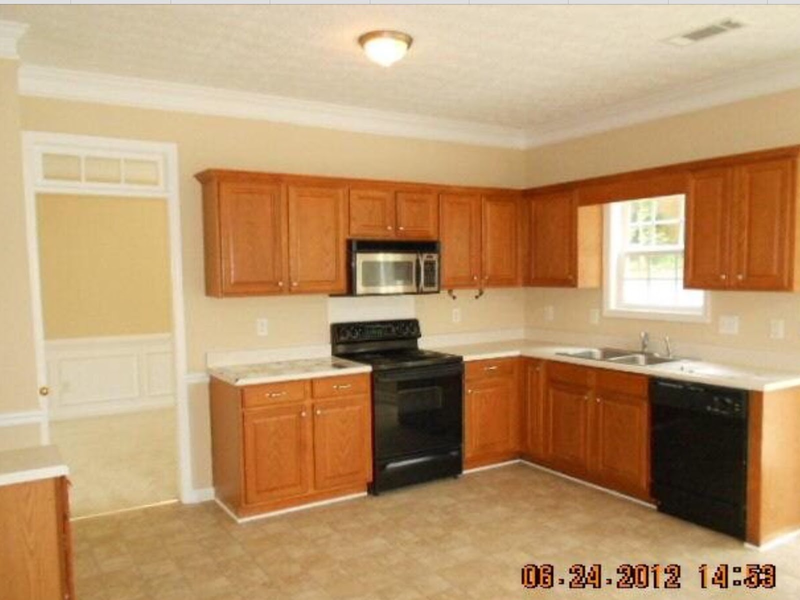 Since then, we've learned that the majority of foreclosures go through cheap makeovers to make them look good. LOL We've learned a LOT!!!! 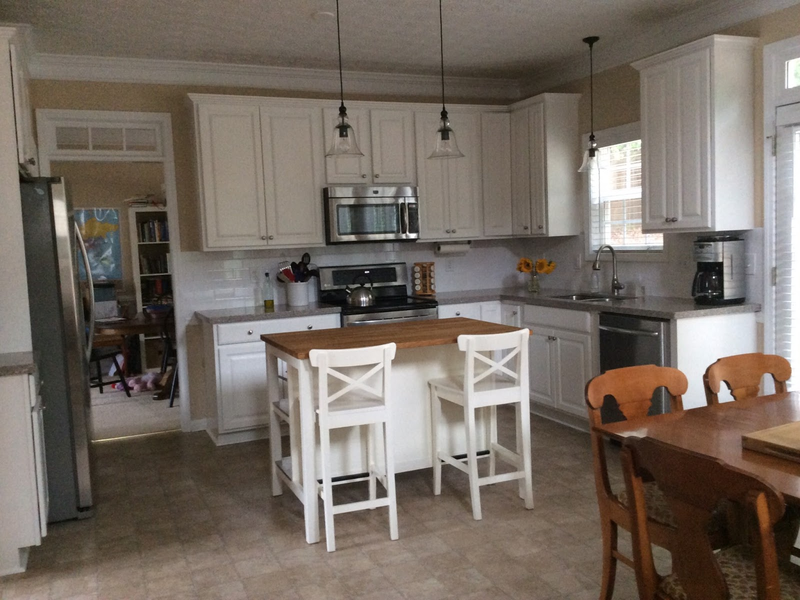 This is the before picture of our kitchen. It seemed okay until you opened the drawers and discovered that either the fronts fell off or the inside was so unstable it would barely hold any kind of silverware. We needed new cabinets for sure! Mr. U tried several methods the workers at Home Depot suggested and they'd work for a while, but in the end, the cabinets were ruined. Thankfully, we had a little money from an inheritance and decided that the best investment we could make with it would be to add value to our home in the kitchen. YAY!! In May 2014 we were able to update and I am SO SOOO happy with the results!!! The lighter cabinets really open up the space a lot! It looks beautiful! I love the brightness of white cabinets. Not only did you spruce the kitchen up but I can see all of the additional storage that was added. Looks great! I am all about white!! It's so much cheerier, I think. What a great makeover! I bet your so happy to use it! Very much so! I love to cook and bake....and eat. :). Surely wish I could have all y'all over!! Bright and beautiful your kitchen turn out. You did an amazing job ! I'm sure you enjoy cooking and baking too. We remodeled ours completely 6-7 years ago and I still love it to death every time I walk inside it and start to cook, or bake a cake, or cookies, etc.